Paulo and Bill Restaurant is pleased to accept KC Original’s Gift Card. Click Here to purchase a KC Originals Gift Card today! View Paulo and Bill Restaurant on KC Original’s.  Each time you dine at Paulo and Bill, you accumulate points for each dollar you spend ($1.00 = 1 point). KC Originals also offers Double Points every Tuesday!